Boy, how time flies. The gaming industry has seen its fair share of IPs that have withstood the test of time with varying amounts of entries. Sure, you might think of the usual suspects in the ring such as Mario, Street Fighter, Sonic, and so on. But it may surprise some that the Atelier franchise is also one of those longstanding IPs with a dearth of entries in their main series. It debuted in Japan in 1997, but the franchise didn’t make it to western markets until the mid-2000s. Despite this supposedly late start, it has amassed a fanbase dedicated enough to support the franchise to this day. 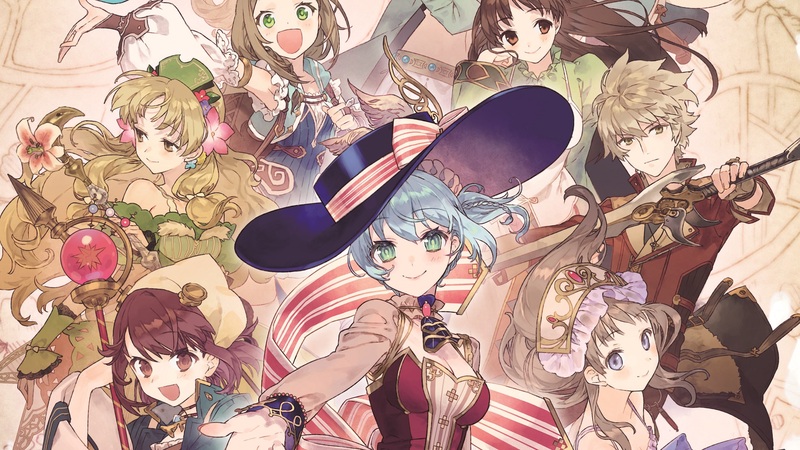 While there are plenty of entries in the main Atelier series, it may surprise franchise newcomers that there are several side-entries as well. 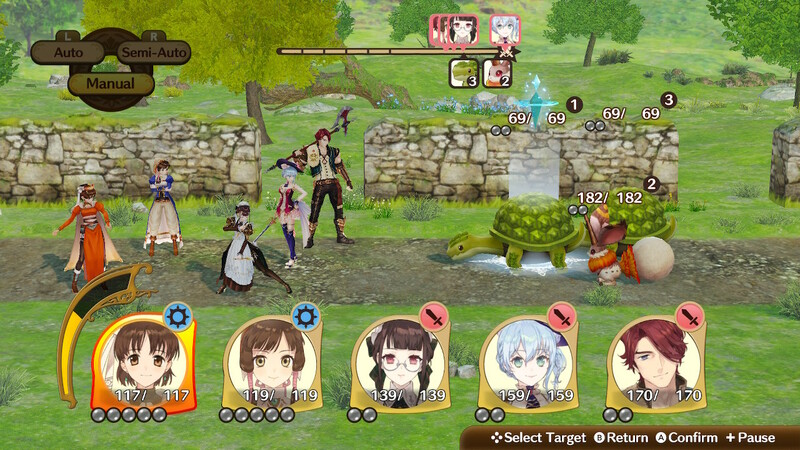 Nelke & the Legendary Alchemists: Ateliers of the New World is one such side-entry. Billed as an anniversary celebration of sorts, Nelke‘s presentation definitely takes the premise it has and gets comfortable with it pretty quickly. 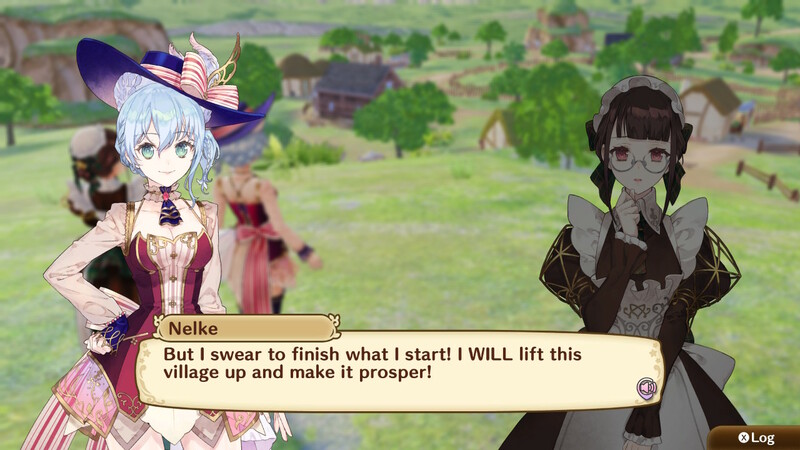 Developed by Gust and published by Koei Tecmo, Nelke released on March 25, 2019 to PS4, Switch, and PC via Steam at a price point of $59.99. The Switch version was played for this review. OIf you’ve played a mainline Atelier game in recent years, you’ll be a bit surprised with the direction of this entry. While it does have some classic JRPG elements that unfold as you play, this game prefers to use these elements to help accentuate the focus of the primary gameplay of town-building. Not only that, but the titular character is a noblewoman who chose not to take up the franchise-standard art of alchemy. This is where the gameplay starts to unfold. 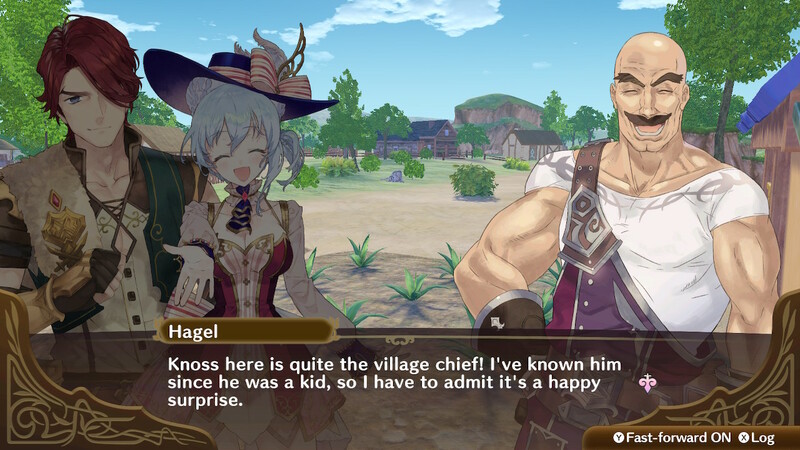 Nelke and her maid Misty arrive in the town of Westwald, tasked with developing the town through her newfound assignment as administrator of the town by her father. 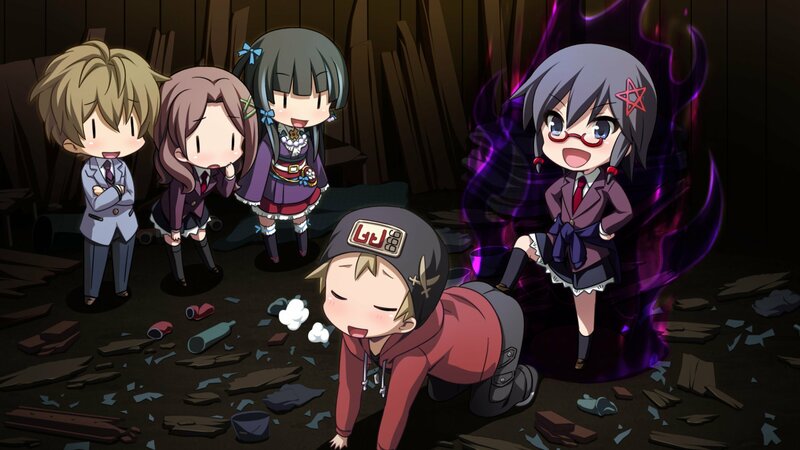 Not only that, but Nelke wishes to unravel the mystery of various “Sage Relics” in the area. Namely, the one surrounding the Granzweit Tree. Upon meeting a couple of the locals, she retires to the admittedly giant manor and gets started with rebuilding Westwald proper. 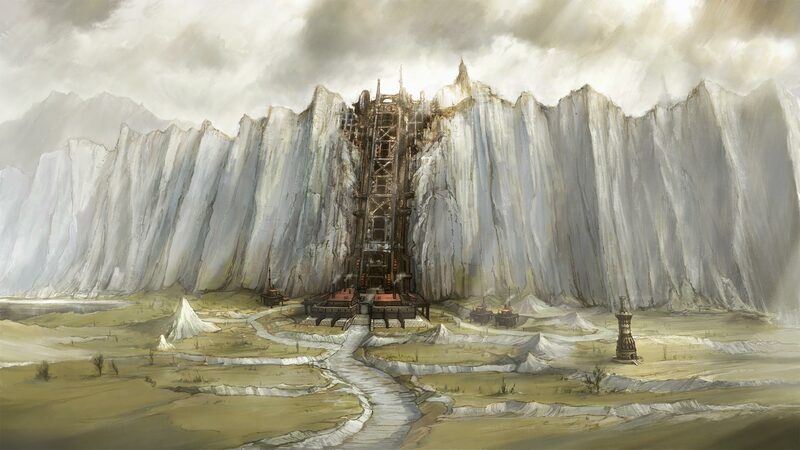 Once we get past this point, the game eases you into the basics of building up Westwald. The game is set up into multiple sections in a “turn” style routine that consist of weekdays and holidays. The weekday portion of the game is where the bulk of the city building lies. In order to develop into a bustling economic center, you’ll have to start operating like one. This sort of thing is nothing new to anyone who has played games like SimCity or Civilization, really. In order to make money for the city, you’ll need products to sell. Naturally, with stuff like this, you’ll need to have facilities to sell them in and places to produce them. You’ll be constructing roads, buildings, farmland, and the like and will need to staff them accordingly. 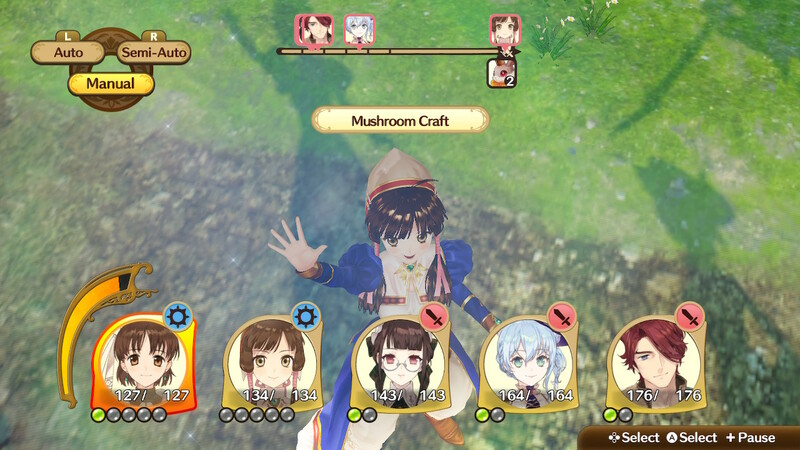 There will be nameless citizens who will help keep the shop if you don’t assign anyone, but it’s best that you assign the various Atelier characters that show up for random (sometimes silly) reasons. With more merchandise-based structures, you’ll also be choosing what to sell. Once you set everything up for that week, you’ll be shown the progress for each development you’ve established and presented with a progress report at the end. Occasionally, you’ll run into a trouble request and will have to deal with it, be it fighting monsters or some other urgent task. Admittedly, this sort of thing is not what I’d call riveting for some people, but they’re important tools to help you plan accordingly. Once you complete this section of a turn, you’ll move to the holiday portion. This is where you’ll be engaging in most of the non-town building aspects of the game. Since you’ll have a lot of characters from previous games showing up in Westwald, you’ll have the chance to establish relationships with them in this section. It’s advantageous for you to do this because these interactions will not only improve your bond with the character, but it’ll also provide other benefits for the town-building portion as well. The only section that will bear any resemblance to a traditional turn-based RPG is when you set out on “investigations” outside of Westwald with a party of your choosing. This party can be a mix of attack and support characters. The former functions similarly to any other JRPG, while the latter tends to deal more in magic. The primary function of this state is to give you another chance to grab materials, but you will occasionally engage in combat against monsters. It doesn’t quite set itself apart from JRPGs or other Atelier games in this way (classic combat format, turn order gauge, burst mode for more powerful attacks), but it’s nice to see this thrown in to help break up the monotony of town-building. NUpon firing this game up, I was immediately reminded of a different anniversary entry in a long-running franchise. Namely Kaizoku Sentai Gokaiger/Power Rangers Super Megaforce. The entire crux of the source material and its American adaptation is that they can use the powers, weapons, suits, and mechs from prior teams as part of their own combat arsenal from episode to episode. While this served as a healthy dose of fanservice to longtime fans of Super Sentai and Power Rangers, it also introduced newer fans to entries and characters they might not even be aware of. It’s kind of the same thing with Nelke. While they use the titular character as more of a lightning rod of sorts to bring these characters to Westwald, alchemists from prior entries aren’t unlike the nods seen in other media like this. Admittedly, the aforementioned silly reasons that they show up is ultimately handwaved in lieu of giving the game more staff to work with. More often than not, though, the character traits shine through for each new denizens that shows up. It’s actually pretty cute sometimes. Graphically speaking, this game is pretty straightforward and simple. More often than not, you’ll find yourself wading through conversations not unlike the kinds you’d find in a visual novel. Surprisingly, this does take up a decent portion of the visual presentation. Not only that, most anything that’s polygonal is either relegated to the investigation or town building portions. Admittedly, this did disappoint me a little bit. But considering that it seems the focus is more on character interactions and gameplay, I guess it didn’t seem extremely important or cost-effective to fully animate every cutscene when there’s so much dialogue to wade through. The Switch version runs well enough given the mobile-centric nature of the hardware it uses, but the framerate isn’t extremely chuggy in the more graphically-intensive portions. A large portion of the dialogue has voice acting thrown in. Though it’s exclusively dubbed in Japanese, you do have the option of turning the dialogue off if you’d rather just read the text and not wait for characters to finish speaking. The voice acting has some effort put into it, and it shows. It’s not extremely hammy given the material, lines are delivered well, and everyone on board understands the roles they were given. The music here isn’t anything special, but it does tend to fit the light and airy aesthetic that the game is going for. If anything, it’s cute. 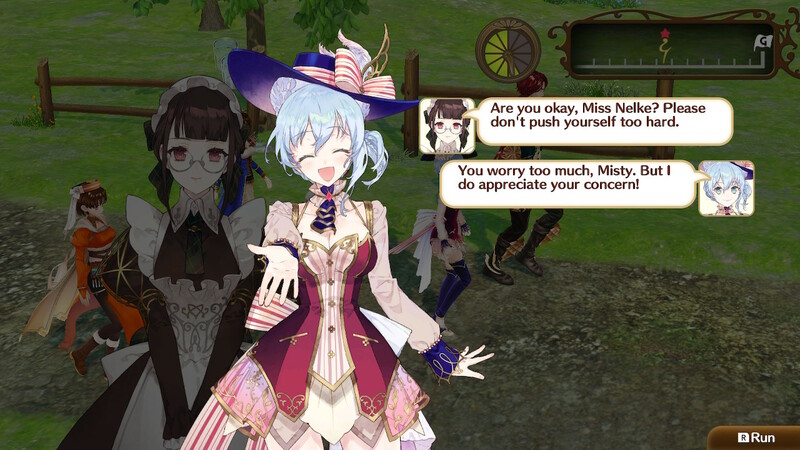 By this point, it’s pretty obvious that Nelke is a love letter to Atelier fans as a whole. This is honestly the one thing I’d point out if you were looking at picking this up, because your investment in the franchise will have an effect on how much you enjoy this game, and if you can justify paying full price for it. I will admit that I am a bit of an outlier to the franchise, so I can’t say that I had as much investment and enjoyment as someone who really enjoys the franchise would. However, what’s presented here is quite aware of what it’s trying to accomplish. While the gameplay itself really leans hard into micromanaging literally every aspect of the town you’re tasked to build up, it holds your hand long enough to get the ropes and sets you loose. Because the save system is easy to access here, it does lend itself pretty easily to portable play. Considering that I’m limited in my exposure to this franchise as a whole, I found myself engrossed in what this game has to offer. This is a decently crafted side game with enough heart to make it competent enough to play, but a tasty side of fanservice for those who’ve been really digging alchemists and absurdly long game titles for 20 years. Review copy provided by Koei Tecmo for Switch. 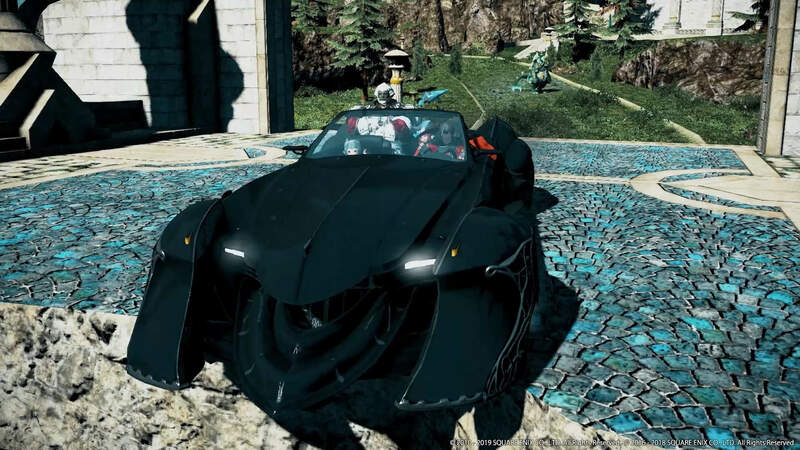 Screenshots taken by reviewer. Featured image courtesy of Koei Tecmo.